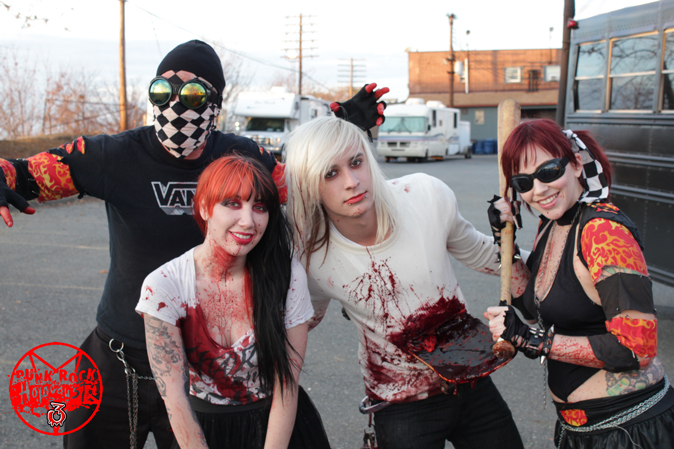 We just shot with the band New Year’s Day while they were on tour in Reading, PA for their death scene for the movie. If you haven’t heard of this band you should definitely check them out! Every one of their songs is about some kind of murder or death and fits right in with the Punk Rock Holocaust series! We murdered lead singer Ashley Costello and guitarist Jake Jones and the rest of the band will meet their demise soon as well! 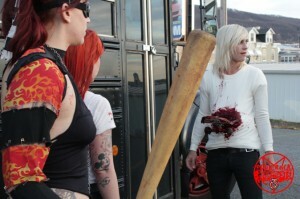 Check out some pictures from the shoot below!